HAMBURG, Germany — European Commission President Jean-Claude Juncker in his “State of the Union” speech to the European Parliament on Sept. 13 laid out a draft framework for the takeover of EU companies by non-EU buyers, with the perceived aim of increasing scrutiny of Chinese investments in sensitive industrial sectors. 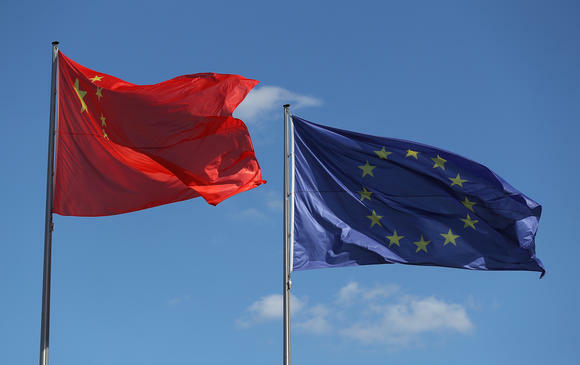 Chinese foreign direct investment in the EU totalled more than 35 billion euros ($41.7 billion) in 2016, representing a whopping increase of 77% from 2015, based on figures from the Mercator Institute for China Studies. The Berlin think tank said Chinese investors showed particularly strong interest in technology and advanced manufacturing assets. 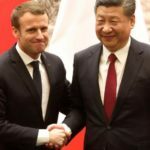 European politicians are particularly worried about the Chinese government’s “Made in China 2025” national strategy that is partly aimed at achieving technological leadership through overseas acquisitions. It is becoming clear that some of these acquisitions could have an impact on the national security of target countries. They are also worried about the impact of heavy Chinese investment on their economic development and local employment. 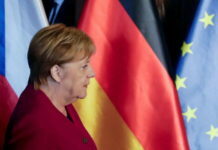 German-language newspapers, which claimed to have seen the details of the new EU proposal, reported that current regulation stipulating that deals could be blocked if they endanger strategic infrastructure or public order would be extended to also cover critical technologies, such as artificial intelligence, robotics, semiconductors and cyber security. Relevant authorities in the targeted EU member state would also be allowed to consider whether the buyer is “controlled by the government of a third country,” and the commission — the executive arm of the European Union — taking on an advisory role, rather than decision-maker. Under the proposal, other EU governments will have 25 days to raise objections, should they see the planned deal affecting their own interests. Germany, together with France and Italy, is spearheading this regulatory change. 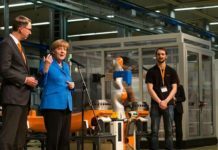 This comes after Germany tried to block the acquisition of robotics company Kuka for 4.4 billion euros by Chinese alliance-maker Midea Grouplast year, but failed due to regulatory snags. Germany is alarmed at the recent spate of Chinese acquisitions of its technology companies. Chinese investors led by Hong Kong-based Full Hill Enterprises bought wheel and axle maker Bochumer Verein Verkehrstechnik for reportedly more than 100 million euros last year and Chinese LED company MLS also completed the acquisition of Osram Licht’s lamp division Ledvance for around 500 million euros earlier this year. 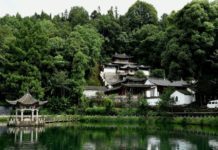 However, Fujian Grand Chip Investment Fund’s 675-million-euro bid for semiconductor maker Aixtron fell through late 2016, after Germany’s economic ministry withdrew its initial approval and the Committee on Foreign Investment in the United States advised then-President Barack Obama to reject the deal, both citing national security concerns. Mercator Institute’s China analyst Mikko Huotari said that the rapid progress of Juncker’s plans will take the Chinese government by surprise, given that no decision was expected until at least after Germany’s general election on Sept. 24. Huotari said the Chinese would double up on their lobbying efforts to sway individual EU member states to increase pressure on the commission to water down regulations. “At the same time, opposition against a toughened stance versus Chinese foreign direct investment will come from European business sectors heavily engaged in China, such as the automobile sector, as those are fearing retaliation,” Huotari said. He said that from a shareholder’s perspective, the rules should be clearly defined, as opposed to individual member states having the right to make case-by-case decisions on Chinese bids. 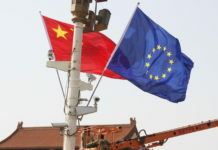 Bauer argued that the EU should use China’s hunger for technological know-how to ease European companies’ access to the country, which is hindered by restrictions on foreign investment in sectors such as automobiles, robotics and critical infrastructure. Negotiations for a EU-China investment pact have been ongoing since 2013, but at a sluggish pace. “Investors and businesses need reciprocity in trade relations and clear rules for their planning, not uninformed politicians deciding at their whim,” Bauer said. 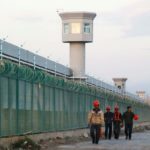 “Otherwise we will have a mess like in the Aixtron deal, where 100 experts had different opinions as to whether or not the deal had security implications, only to have the American president having the final say,” he added. This is largely echoed by Harald Selzner, partner at U.S. law firm Latham & Watkins. 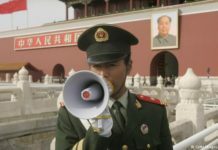 Is Chinese propaganda infiltrating the German media? 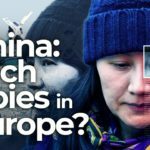 Is China stealing Tech from Europe?